The Two Soulds Necklace is a great way to express LOVE. And since we love always and hurt never this is a perfect way to show it. 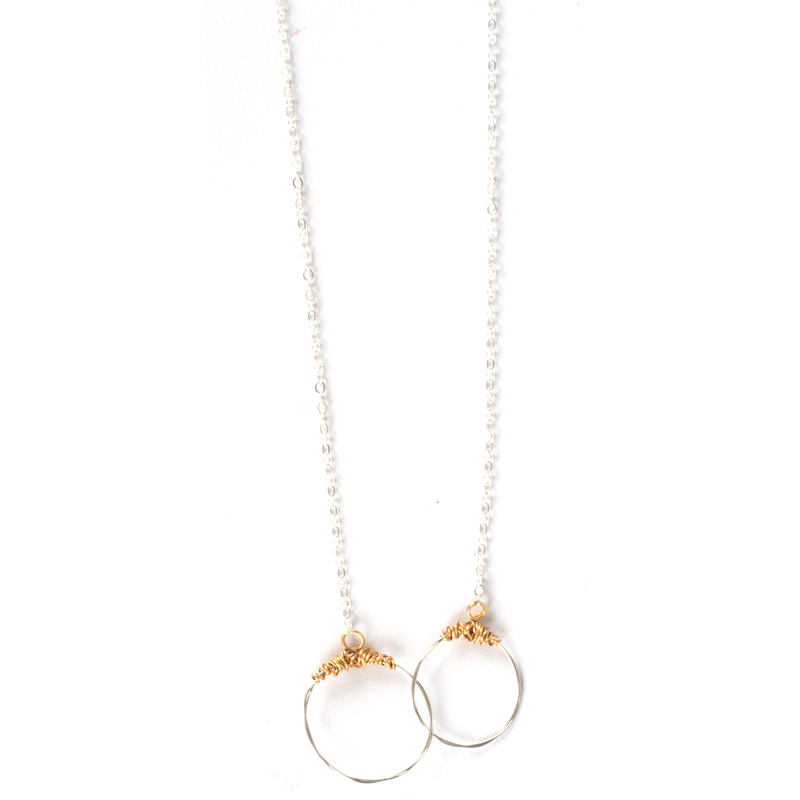 Sticking to our own music roots, this dainty necklace is amade with recycled guitar strings. The Mixed Metal Two Soul is made with sterling silver 18" chain.